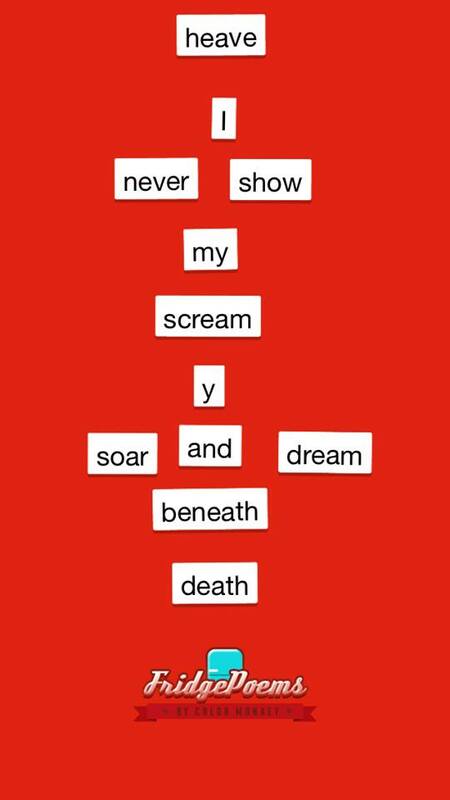 Using the fridge poems application on my iPhone, I created this poem. I highly recommend this app. It’s fun and easy to do. Plus, stimulating for us would-be poets and writers. And if you’re artistic, there’s even an aesthetic quality to arranging the words and pieces.